Before I get on with the Tequila lime chicken wings, allow me to start this post with a fun memory of my Dad. When we moved to the US, a little under a decade ago, my daughter missed family back home. So she would call up her grandparents – my parents, and talk to them. They talked for hours and she would give them glimpses of life she was adjusting to. One day I get a frantic call from my Dad after my daughter hung up the phone. He wanted to know “what does buffalo wings mean”!! He really did think it had something to with a buffalo. I could sense where this was headed. And a huge smile spread across my face. Being a Hindu, the meat from bovines is off limits. So he was wondering why I let my kid eat buffalo and what kind of meat is buffalo wings. We did the explaining about the origin of the sauce and the chicken wings and tried to explain that no buffaloes were hurt during the process, only poor chicken. But It took some convincing. And every-time after this, my daughter would roll with laughter at the mere mention of Buffalo wings for quite some time. My first introduction to chicken wings being a dish by themselves was when I ate Chicken Lollipops. 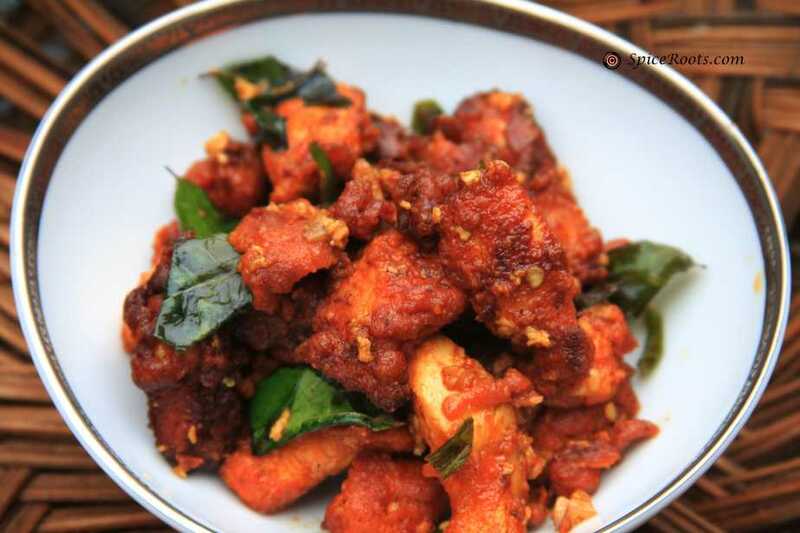 Lollipoped chicken is a common snack in Hyderabad and boy do they know how to make those irresistible. 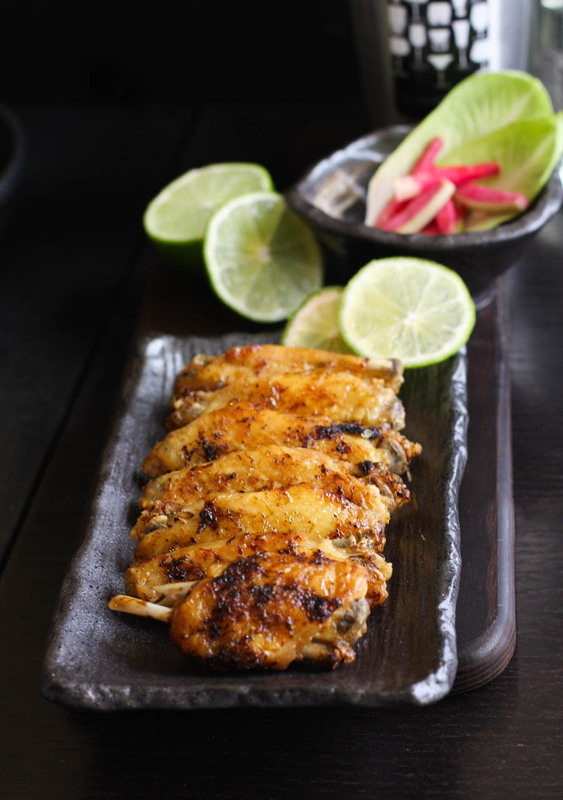 Now back to chicken wings and the Tequila Lime Chicken Wings. 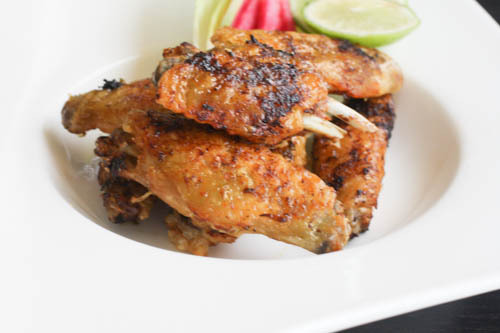 These wings are crisp on the outside, juicy inside with flavors of citrus, spice and Tequila. I pressure cooked the wings first to make them tender without drying them out. And then added the spices and tequila. Bake and Done. You could fry them and then dunk them into a tequila lime sauce, but if you believe me, these were great and I don’t see how frying would improve anything except the fat content. I had to save a few wings after steaming for my teen who doesn’t like anything with alcohol. Not even when it’s mostly cooked off. She poured a ton of hot sauce over the plain ones after baking and said she loved them. 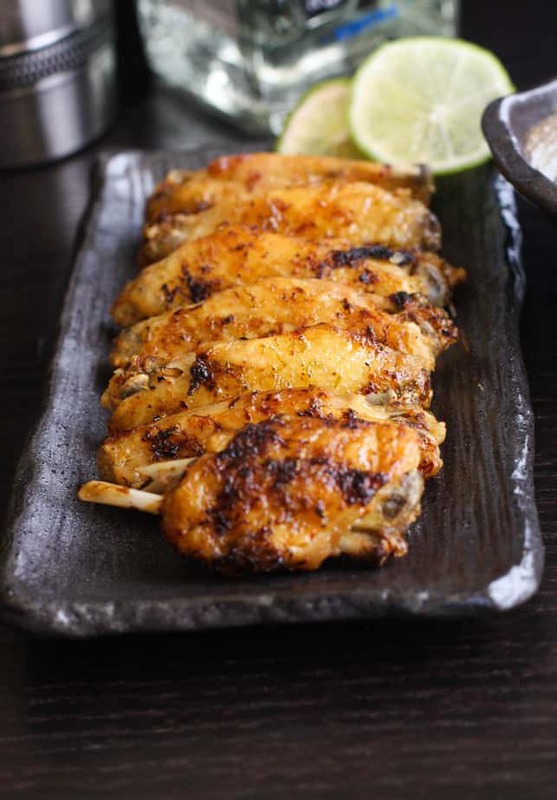 Why make Tequila Lime Chicken Wings ? Because it is Progressive Eats time of the month and our theme is Boozy Cooking. Hic. I cook with Tequila and sometimes I even add it to the recipe *Source Unknown* And for more Boozy recipes check out what the Progressive Eats bloggers have come up with! Bake in a preheated oven at 425*F for 10 minutes, then turn them over and cook for another 10 minutes on the other side. 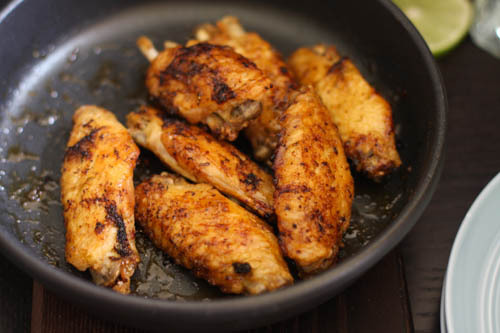 If you don't use a pressure cooker, you can steam the wings for 10 to 15 minutes and then follow the same method. Increase baking time by about 10 minutes. Welcome to Progressive Eats, our virtual version of a Progressive Dinner Party. This month’s theme is Boozy Cooking and is hosted by Megan Myers, who blogs at Stetted. For our Boozy Cooking dinner, we all created recipes using beer, wine, or spirits. Yummmmmmm incredible looking wings. Slurp. Love this combo of flavors! Thanks for sharing your dad story – I think we’ve all been there at some point! What a funny story and a wonderful memory of your dad for you and your daughter. And those wings – wow! – they sound so delicious. This looks so very tasty!!! You can’t go wrong with tequila and lime! That’s such a cute story and I can see the shock on your dad’s face. I can also see you bent over laughing so hard you couldn’t speak. 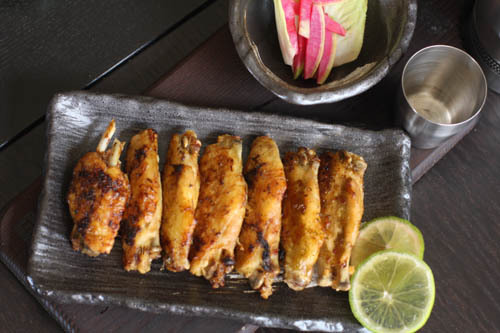 I love chicken wings but I’ve never made any like this. I’m looking forward to tasting these! What a fun story! And what great wings. Never tried them with tequila — sounds so tasty. Thanks! I do love chicken wings too, Jane. Make them soon. Thank you, shayma. Hope the girls enjoy this recipe as much as we did. I have a pressure cooker I have never used…maybe these will be the inspiration I need? 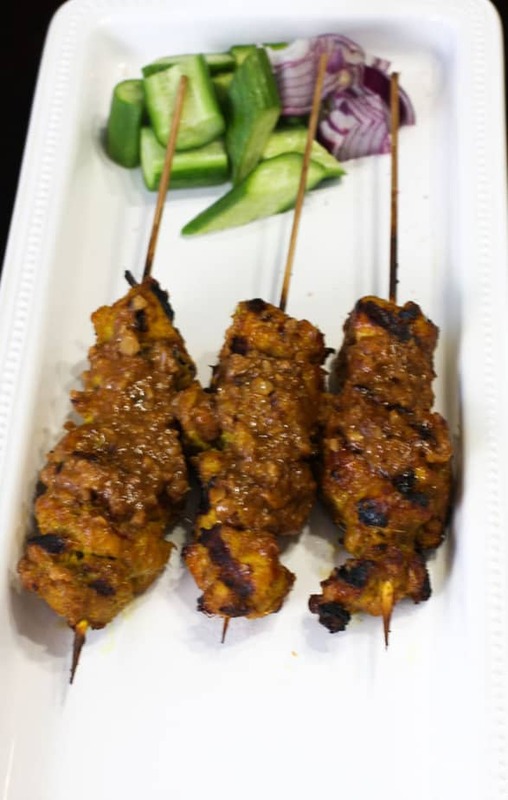 You know how much I love your food; I have no doubt these would be right up there with Schoolyard Chicken! Well, let’s get that pressure cooker out and use it.. It saves a ton of time. I love the chicken wings, but it’s the story that I’ll remember. What a wonderful way to remember your dad, being concerned about his granddaughter and wanting to understand all about your new life in the US. Truly special. Thank you Laura. He was a special man! And about those wings? Yup. That’s a big old Yup! I do have many beautiful memories of my parents. Now that they are no longer here on earth, it is all I have of them. Such a sweet memory. 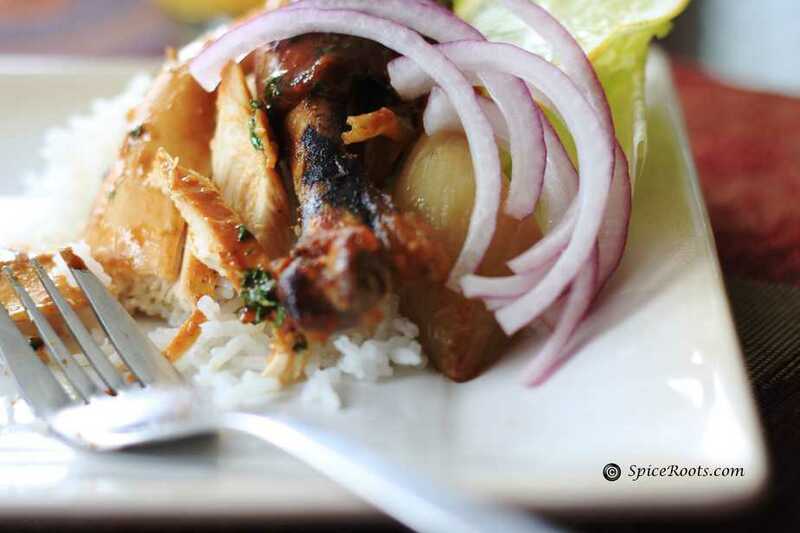 Thanks for sharing it with us, and thanks for sharing this recipe with us too. 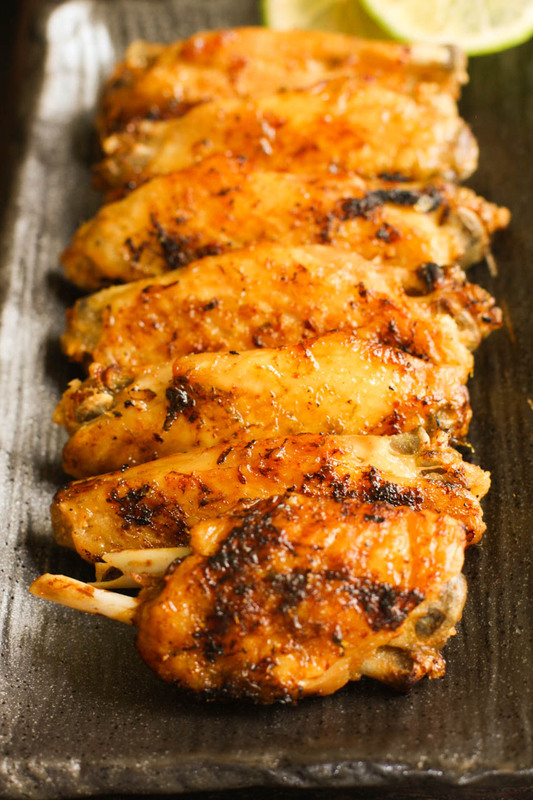 I love chicken wings and these look just perfect. Thank you Karen. Tequila lime is a magic combo. Love the Buffalo Chicken wing story! What a unique cooking technique – I’ll have to try using the pressure cooker and then baking wings next time. Pressure cooking saves time and chicken wings are moist and juicy. So good after baking. Thank you so much Liz! He was adorable!